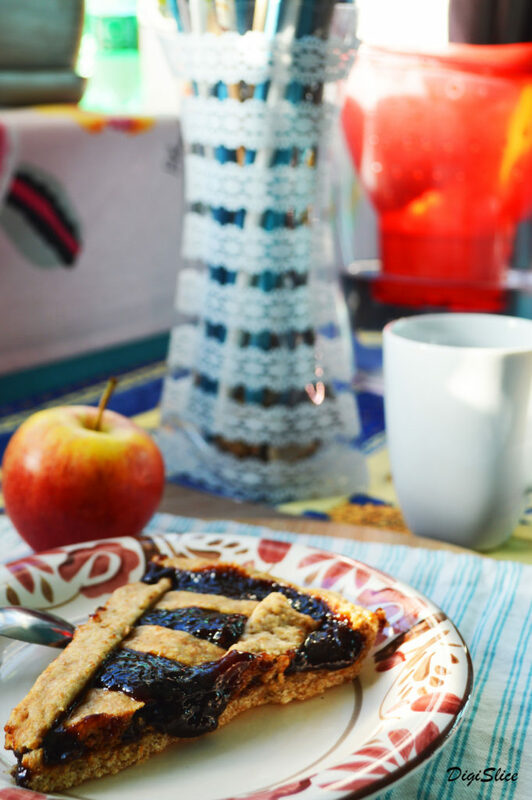 Crostata is a traditional jam tart and one of my favourites Italian desserts. 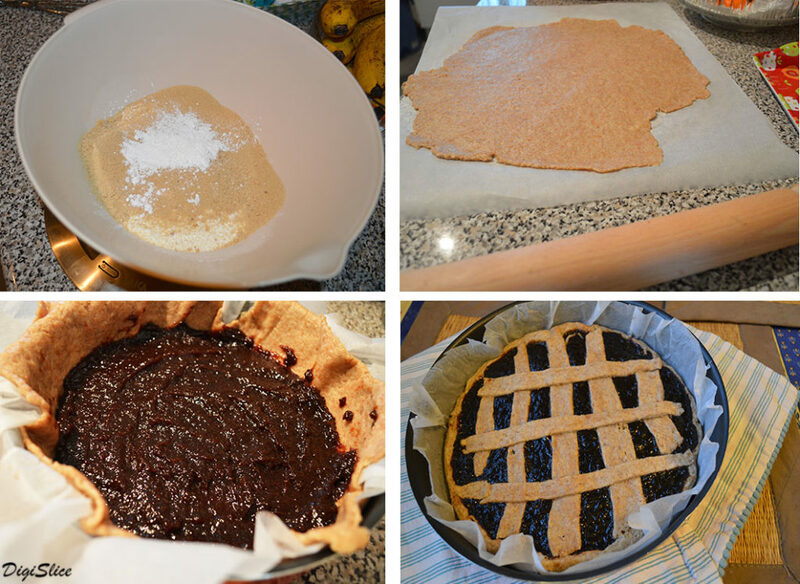 The crostata is made by spreading a thin layer of pasta frolla (similar to shortcrust) over the bottom of a tin, topping it with homemade jam, and baking it. 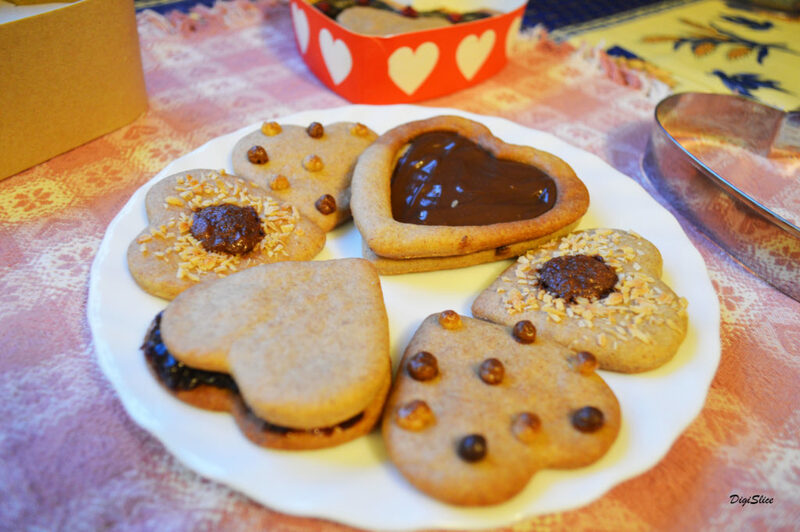 The original recipe includes eggs and butter but this vegan version by Il Goloso Mangiar Sano is equally good and, in addition to that, it’s lighter, healthier and cruelty free! In a medium mixing bowl, mix all the dry ingredients together (flour, sugar and baking powder). Add the sunflower oil, the milk and, with your hands, start mixing to completely combine and form into smooth ball of dough. Wrap the dough in plastic wrap and refrigerate for 15-20 minutes. Take the dough out of the fridge and roll 2/3 of the vegan pastry dough out on a flat surface dusted with some flour. Place it in a tart tin and, using your fingers, gently press the pastry into the tin to line the base and the sides. 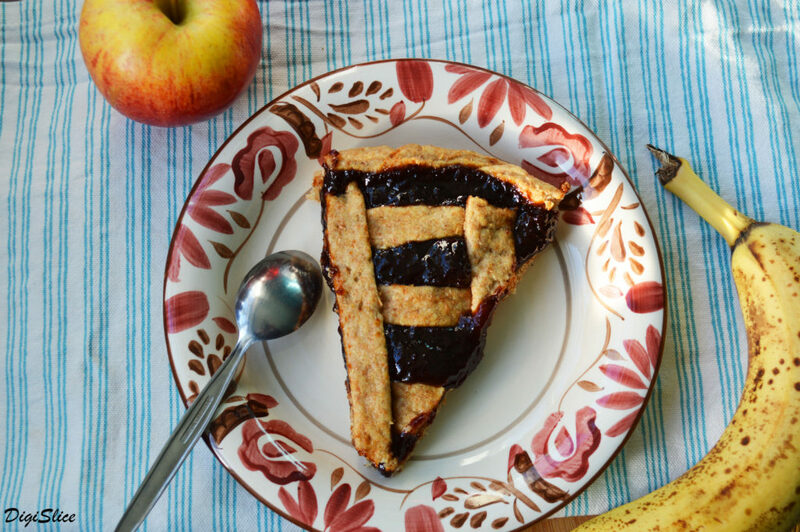 Trim off any excess around the edges with a knife and, using a fork, pierce the bottom of the tart. 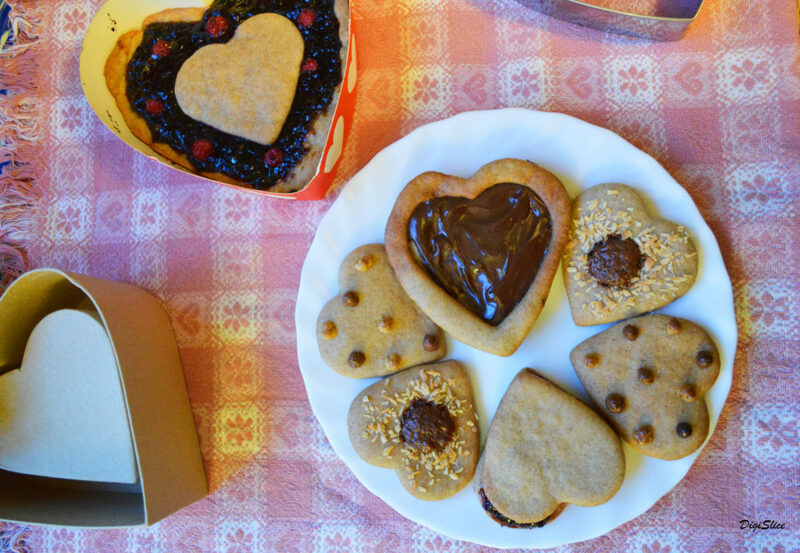 Spread the jam in an even layer over the dough. Roll the left over pastry out and cut some strips using a cutting wheel and lay across the top of the jam in a lattice pattern. Bake the tart in preheated oven at 170° C for 15-20 minutes until it turns a soft golden brown and the edges just a bit darker brown. 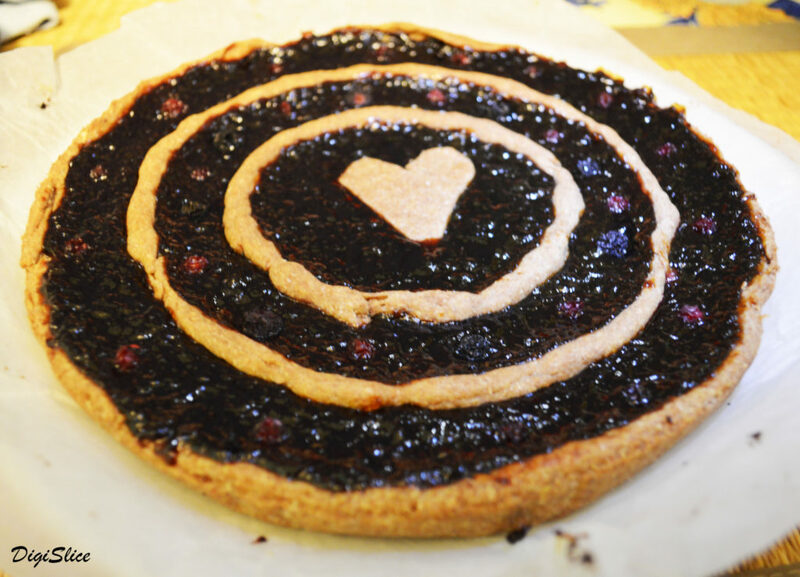 This entry was posted in Food and tagged cherry jam, crostata, food photography, jam tart, recipe, shortcrust, vegan. Bookmark the permalink.